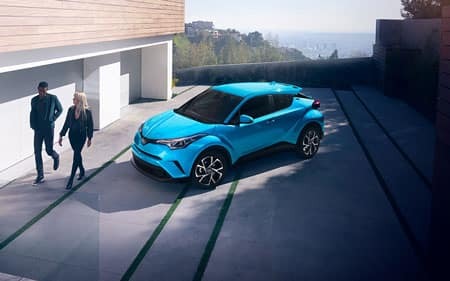 Featuring inspired driving dynamics, eye-catching style, and a confident attitude — the Toyota C-HR redefines the way you look at a compact crossover SUV. Ideally suited for drivers living in urban environments, the cabin of the C-HR offers an array of comfort and versatility options to make things easier. A collection of advanced tech options help you stay in-touch no matter how far away from home you travel. Invigorate your commute with a standard 2.0-liter 4-cylinder engine paired with a responsive CVT featuring a Sport Mode drive setting. The C-HR offers a city-sized solution to exploring crowded city streets and delivers impressive fuel economy on open highways. You’ll have your selection of a variety of bold, expressive exterior colors including optional R-Code paint treatment for a striking two-tone appearance. 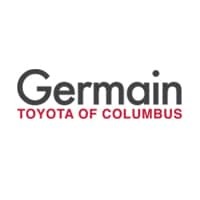 Giving drivers even more value than the previous model year, the Toyota C-HR gets a new LE base trim level which drops the starting MSRP of the vehicle significantly. 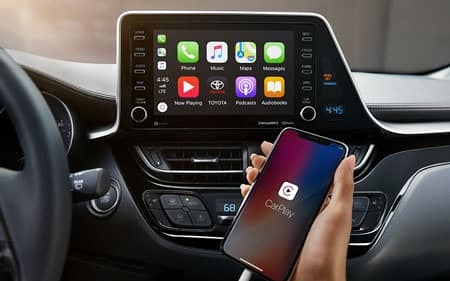 Apple CarPlay® smartphone integration is now found as standard equipment on every C-HR. The range-topping Limited trim level now features new exterior treatments including piano black B-pillars, chrome window trim, and a red bumper garnish. Helping you stand out in a sea of ordinary, the striking appearance of the Toyota C-HR helps you make an unforgettable entrance. The sharp, angular styling of the C-HR is perfectly complemented by optional Vortex-styled 18-inch wheels. Viewed from behind, onlookers will notice a stylish cantilevered aerodynamic rear spoiler perched atop the rear hatch glass. Expressive exterior color choices include Ruby Flare Pearl and Blue Flame to help match your personality. Much of the fun-to-drive character of the C-HR can be attributed to its standard 2.0-Liter 4-Cylinder Engine which produces 144 horsepower and 139 lb ft of torque using Toyota’s Valvematic technology. Enjoy manual shifting capability between 7 simulated gears from a Continuously Variable Transmission with intelligence and Shift Mode (CVTi-S). This sophisticated transmission provides the best of both worlds with exceptional response and impressive fuel efficiency. The C-HR achieves up to 31 MPG on the highway**. Twisty back roads are no match for the MacPherson strut front suspension with SACHS dampers. Inside the Toyota C-HR, you’ll be surrounded by a driver-focused interior layout which greets you as soon as you grab hold of its standard soft-touch, leather-trimmed steering wheel. Drivers and front passengers can each personalize their temperature preferences by using the dual zone automatic climate control system. For easy access to a massive cargo area, standard 60/40 split folding rear seats to accommodate all of your gear and supplies for your next weekend camping trip. You can say goodbye to boredom on extended road trips thanks to a standard suite of multimedia functions such as Aha Radio™ application with over 100,000 stations, Bluetooth® wireless technology, HD Radio™ Technology, USB 2.0 port, and a 7-inch touchscreen display. The available Smart Key System with Push Button Start eliminates the need to fumble around your pocket or purse in order to locate a traditional key. Across all three trim levels of the Toyota C-HR, you’ll be protected from the unexpected thanks to standard safety technologies engineered to provide a helping hand when you need it most. Standard Toyota Safety Sense™ P (TSS-P) delivers a host of technologies including Lane Departure Alert with Steering Assist (LDA w/SA), Automatic High Beams (AHB), a Pre-Collision System with Pedestrian Detection (PCS w/PD), and Full-Speed Range Dynamic Radar Cruise Control (DRCC). Ten standard airbags round out this impressive list of standard safety equipment. 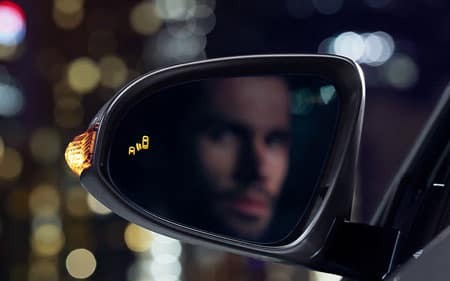 An available Blind Spot Monitor with Rear Cross-Traffic Alert offers a useful assist when backing out of a parking space or changing lanes on the freeway.